To save people the trouble of what I went through for the past 24 hours of trying to get WOL to work I decided to create a guide. 4. 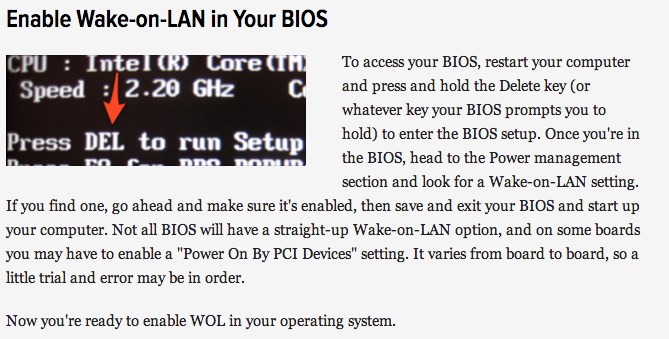 Continue on with guide below to set up remote WOL. 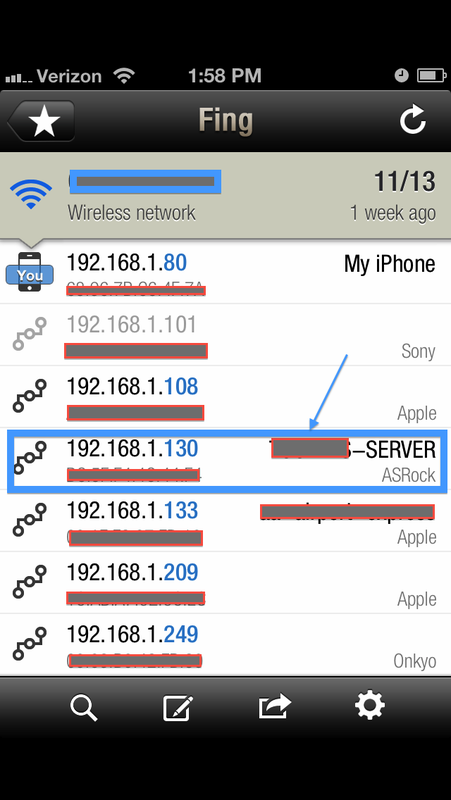 Write down MAC address for computer/server and download SimpleWoL(https://itunes.apple.com/us/app/simplewol/id492554872?mt=8) for the iphone. 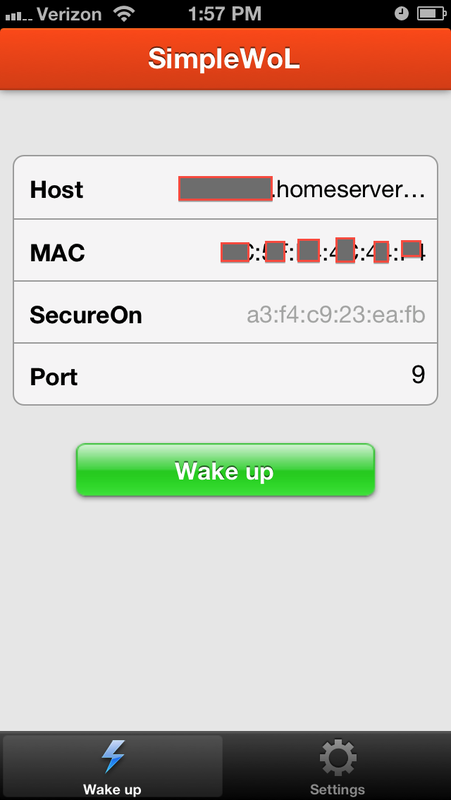 Type in Host(either sign up for dyndns or know your external IP address, I just use my domain I received for free from Windows Home Server 2011 ex xxxxxx.homeserver.com). 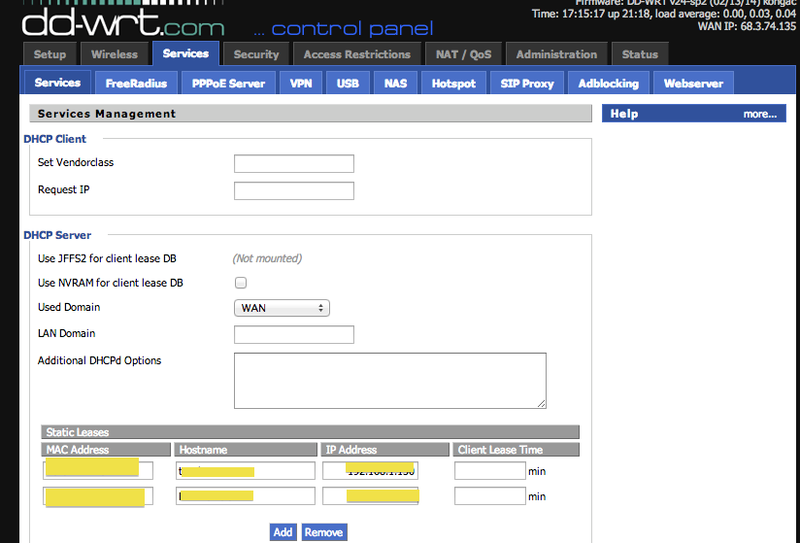 Type in MAC address of computer that you wrote down, port number is whatever you set up but I use standard 9. 7. 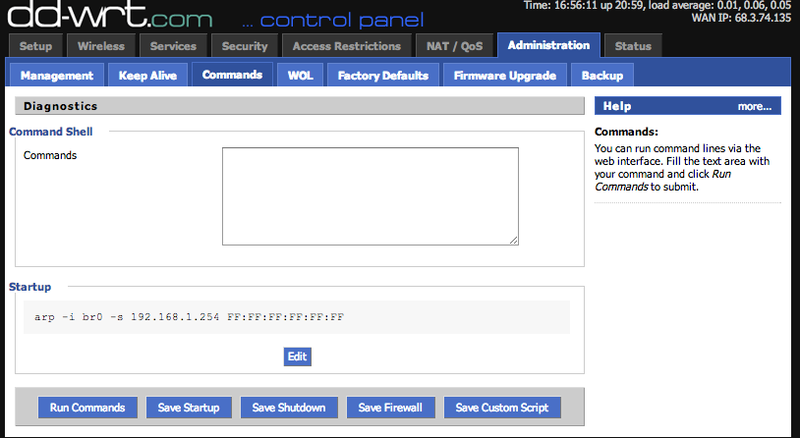 Go to Administration -> Commands and copy/paste “arp -i br0 -s 192.168.1.254 FF:FF:FF:FF:FF:FF” into commands box, then hit SAVE STARTUP. 8. 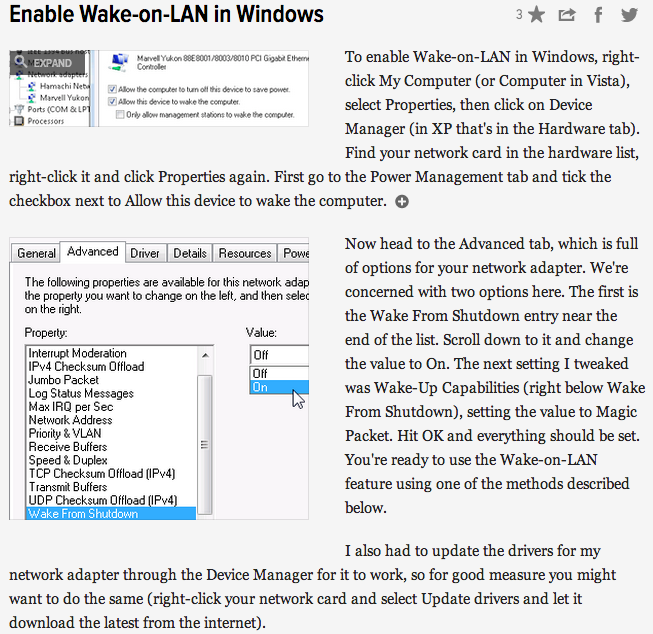 Reboot Router and Restart Server/Computer that you are wanting to wake up to make sure static IP is set. 9. 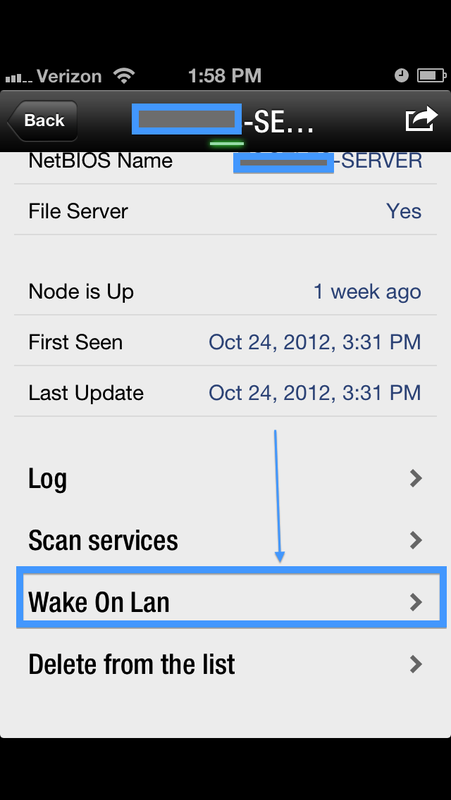 Hit wake up to test (you must make sure you turn off wifi on iphone when testing last part otherwise its just the local test and not remote WOL).